With more and more people getting ready to partake in this year’s biggest shopping frenzy, aka Black Friday and Cyber Monday. Hackers are also out in full force to attack careless users. They have been preparing for this fest throughout the year. To fool unwary shoppers excited to grab best deals via social media sites and online users they have designed phishing scams, malware and other tools. Black Friday and Cyber Monday deals are often filled with feeble security measures, fake websites advantage of which is taken by cybercriminals to steal consumers financial data. Once hacker has your card details, PIN or password they target your bank account along with your identity. According to a security report published recently this year online threats will be greater than ever. Black Friday and Cyber Monday are attracting hackers as there is as surge in potential targets. Typical scams include phishing emails pitching cheap Armani watches, Fendi sunglasses, fake websites trying to get your credit card details, planting malware and more. Furthermore, this year during the holiday season threat actors are not just looking to steal money they’re after your confidential personal information too so that they can use it for identity scams and banking frauds. As Black Friday and Cyber Monday deals are one people wait for complete year they give scammers an extra cover. Especially fake apps and websites take advantage of this wave and promote fake offers to attract users. Fake apps are one of the most popular method used by cyber crooks to fool users during Black Friday and Cyber Monday. According to a research 5.5% of the apps pretending to offer holiday shopping deals are malicious and fraud. If for a second you think you’re safe as you are using apps downloaded from official app store then let me tell you, Google Play store hosts most blacklisted apps. Claiming that the deal is time limited only. User will not be able to find better discount and deal than the one he is seeing. These tactics are so strong that they make victim act before the target can even think. How to stay protected from Black Friday and Cyber Monday scams? 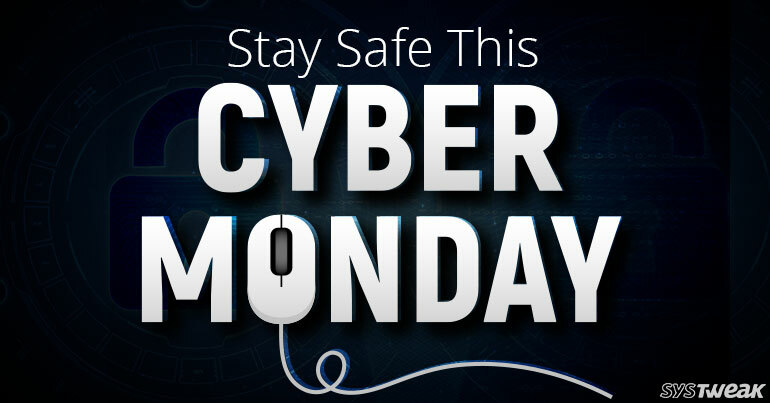 Staying safe this Black Friday and Cyber Monday from online scams is very important. This time of the year is not only very lucrative for consumers alone. Fraudsters are presented with an opportunity to prey on online shoppers for their financial gain. Recently three common methods used by scammers to fool users on Black Friday and Cyber Monday scams have been observed. They are bogus shopping sites, fake gift cards, special offers discounts tempting users to visit malicious sites and vouchers designed to steal sensitive information. Oldest and most common technique used by threat actors is phishing scams. Fraudsters send out spam emails advertising special deals and gift cards. Even more con artists setup realistic looking online stores to fool users. The best way to identify such scams is to not fall for offers that look to good to be true. Fake, counterfeit, and refurbished items have become quite popular in recent years. Since online shoppers cannot assess quality of an item or touch it fake retailers have started taking advantage of it. And this holiday season these bogus retailers will not leave a stone unturned to fool users into buying their counterfeit product. They show such huge discounts on popular product that you always wanted to have. And as hackers know it’s hard to spot a bogus item by looking at its picture they will make you fall for it. But you can save yourself from such frauds by checking the seller rating and reading user comments. If you see a retailer having 55% rating, then it’s a bad sign. Never fall for it also never overlook user comments because customers criticize bogus products. 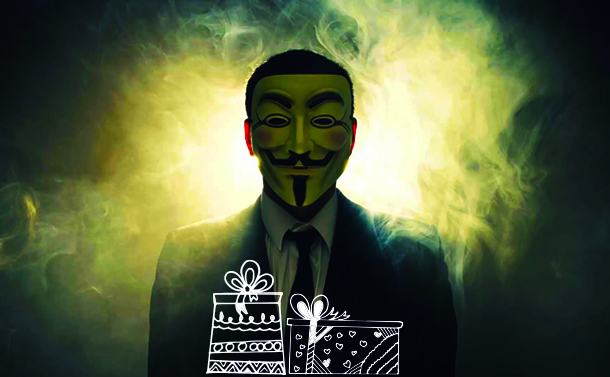 Another common technique used by threat actors to scam users this Black Friday and Cyber Monday is gift cards and vouchers offering additional discount. Often these fake voucher and gift cards are sent via a spam or phishing email that contain malicious file attachments. Once user downloads them victims machine is infected, and fraudsters are able to steal all financial and personal data. Always be cautious of messages, emails asking you to click on a link or download an attachment. 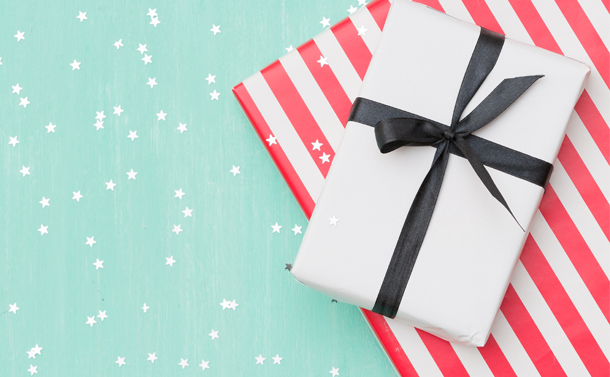 During holiday season your inbox will be filled with deal and sale alerts, but you don’t have to careless. If you doubt authenticity of any email or message you receive contact the sender directly or visit the site to check if the offer is genuine. During Black Friday and Cyber Monday there is a possibility website don’t offer you COD option. If that is the case when undertaking online transaction, ensure that the webpage is encrypted, and the address begins with https as opposed to http. Make sure you are running latest operating system and application version because an unpatched system or software expose you to security vulnerabilities. Always use complex and strong passwords and never disclose OTP or CVV to anyone. Install adblock to stop malvertising. Never fall for any deal or sale that looks too good to be true. Using these security tips, you can stay one step ahead of fraudsters, scammers this Black Friday and Cyber Monday. Certainly, there is no 100% guarantee, but the above security tips will help you reduce the risk of being victimized by cyber-attacks this Black Friday and Cyber Monday. Moreover, to block ads you can use StopAll Ads extension. This extension not only blocks ads but also warns if you try to visit a malicious site. To install StopAll Ads click here. Stop All Ads will stop unwanted ads, filter relevant ads and even more it will stop sites from tracking your online activity.